Thanks to Oaktree Capital/Target Investment Opportunities/The South Docks Fund, the 2015 Docklands Print Commission, with artist Chris Judge, raised over €20,000 for the 2016 Small Grants Open Call. Three art projects with community partnerships were selected to take place from September 2016 – June 2017. Read about them here. Thanks to Savill’s Ireland alongside Oaktree Capital and TIO, the 2016 Docklands Print Commission, with artist Colin Martin RHA, raised the funds for the 2017 Small Grants Open Call. Three art projects with community partnerships were selected to take place from September 2017 – June 2018. Read about them here. Thanks to Oaktree Captial and TIO, the 2017 Docklands Print Commission, with artist Kelvin Mann, raised the funds for the 2018 Small Grants Open Call, which was launched in May 2018. If you are a business, organisation or individual based in the Dublin Docklands area and would like to support later phases of the project, please get in touch. Artist Opportunities: If you are a creative practitioner and would like to sign up for Open Call Artist Opportunities, please sign up to our Arts Training newsletter here. 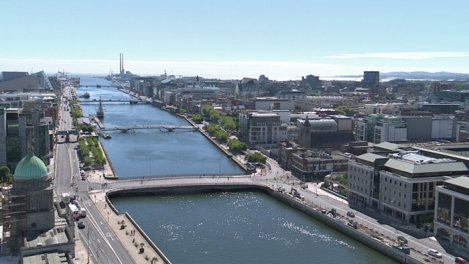 The wider Dublin Docklands area comprises the five villages of Ringsend/Irishtown, Pearse Street area, Grand Canal Dock, NorthWall/Spencer Dock area and East Wall. 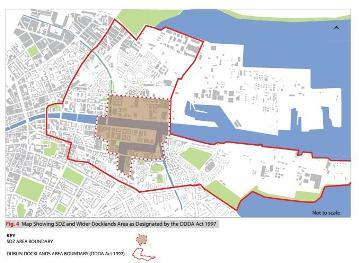 See here a map of the wider docklands (marked in red), with the Grand Canal SDZ within that (marked in brown).